I fell silent for a moment. Officially my job title states Test Analyst C so he had a point there. My response held several aspects. First of all my official job title doesn’t have any meaning outside of the office and I am often meeting or interviewing people from outside of work. So I feel more comfortable calling my self senior test analyst then. Well, I stated, because I believe that I am senior based both on my amount of experience, skill and the effort I put in to my work. And using this title makes it easy to recognize what I do and at which level I am. Even my personal business card states me to be “Software Tester”. So why did I start using Senior Test Analyst when I talk about myself? Having thought about it has me come to the following. It is not that I feel under-appreciated at work (although I wouldn’t mind a pay rise;) nor that I feel the need to emphasize my level of ability or knowledge. It is more my perception of how non testers value the profession. And for some reason adding the senior in front of test analyst seems to add some level of authority and importance. What do you do to convince non testers of the importance, skill and effort that go into your job? Or do you think that it’s all their problem? This second post on the use of titles for software testing focusses on software quality assurance. Quality assurance, or QA, as such is not exclusive to software development. QA is practised in almost every other industry like e.g. car manufacturing or medicine. Quality Assurance in essence involves monitoring and improving the process, making sure that any agreed-upon standards and procedures are followed, and ensuring that problems are found and dealt with according to those same standards and procedures. Quality assurance is often seen as an activity to be executed independent of its subject. The guiding principle behind Quality Assurance is that quality is malleable. This is achieved by working hierarchically according to detailed plans, use accurate planning and control, rationalise processes, standardise and uniform. In this sense quality assurance is continuation of Frederick W. Taylor’s ideas of Scientific Management. In line with this all skill and knowledge is transferred into standard processes, procedures, rules and templates and thus removed from individual workers. By and in large software quality assurance follows the same lines of thought as quality assurance. This part of the model then represents the assurance paradigm. Like in quality assurance a tester in software quality assurance seeks the use of rationalized processes, standards and uniformity. She prefers the use of specific standards and methodologies. IEEE, ISTQB and TMap are well know examples of this. These methods provide the tester with (seemingly) clear guidelines to follow and artifacts to use so that if used properly software testing itself should provide adequate information about the state of the product and its readiness for use. There is however a distinct difference between software quality assurance and quality assurance . In contrast with quality assurance in the traditional sence software does not have something tangible to measure. This is partly overcome with the use of software related quality attributes. Quality attributes are used to help guide the focus of testing and consist of characteristics that are considered typical to software development. Software quality assurance has the advantage that it is an understandable and recognizable proposition. To testers the appeal is that it provides a uniform solution for “all” situations and the handbook approach can be followed from the get go. To managers the appeal is that the procedures are recognizable in relation to mainstream management ideas and in combination with a phased interpretation of software development and testing, e.g. the V-Model, it is highly useful for project planning. Following the process and filling templates alone (even) software quality assurance admits does not produce tests. So software quality assurance has teamed up with software engineering in that it uses test design techniques to identify and describe tests. In turn software quality assurance has developed means to limit the scope of testing with using a combination of quality attributes and risk assessment to order and if necessary limit the amount of tests to be designed and/or executed. In practise the use of software quality assurance, together with test engineering, has admittedly helped to establish software testing as a craft of its own. It has put software testing on the map and in general software testing is seen as part of the development process. But the use of software quality assurance as such has been no guarantee in stopping the development of ‘bad’ software. With bad software I mean software that did not provide a solution for the problem it was intended for. In response to this limit to success several lines of improvement have evolved. One of them is to quality assess the software quality assurance itself with the use of models like TMMi or Test Process Improvement. These might help to forge a smoother adherence to the standards, procedures and templates, but the emergence of better software seems to be more of a side effect then that is the result of these new models themselves. A second response is to more stress that quality assurance of software is an independent activity performed in separate (QA) departments that kind of police software development. Although this helps to adhere to external regulations and audit rules it has little effect in the pursuit of building good software that solves the or is fit to be used for problem it is intended for. These models, and others like them, have widened the gap between quality assurance through process and the act of testing software through skill. So much so that increasingly quality assurance and testing are considered as different activities that oppose each other. In my opinion we need both aspects of software development to do a good job. How we mix them however should depend on the context in which you apply them. But in whichever context the testing of software should have the purpose of delivering useful information about the product. To do this, in my opinion testing skills come first and then knowledge and use of standards or procedures follows to aid or enhance the act of delivering useful information. Ever since I started software testing I was surprised by the different names the test functions have ranging from say “Software Development Engineer in Test” to just “Tester”. At the time I did not pay much attention to this as testing to me seemed to be similar regardless of the title you have while doing it. Some time later however, after listening to Stephen R. Covey’s 7 habits, I was reminded of these different titles. Covey mentions, in the Paradigm chapter, the shifts in paradigm that can come with a change in the title you carry. At that time my idea that all software testers basically performed the same activity had also changed and the subject of the title by which you test intermittently came back to my mind. And now some years later I have found both time and inspiration to use it as subject for a number of posts. In this small series of posts I will, start to, shape a model of my perception that the title by which you perform your testing activities has consequences on how you and others perceive and approach your work in software testing. This first post in the model relates to the origin of the computer itself. 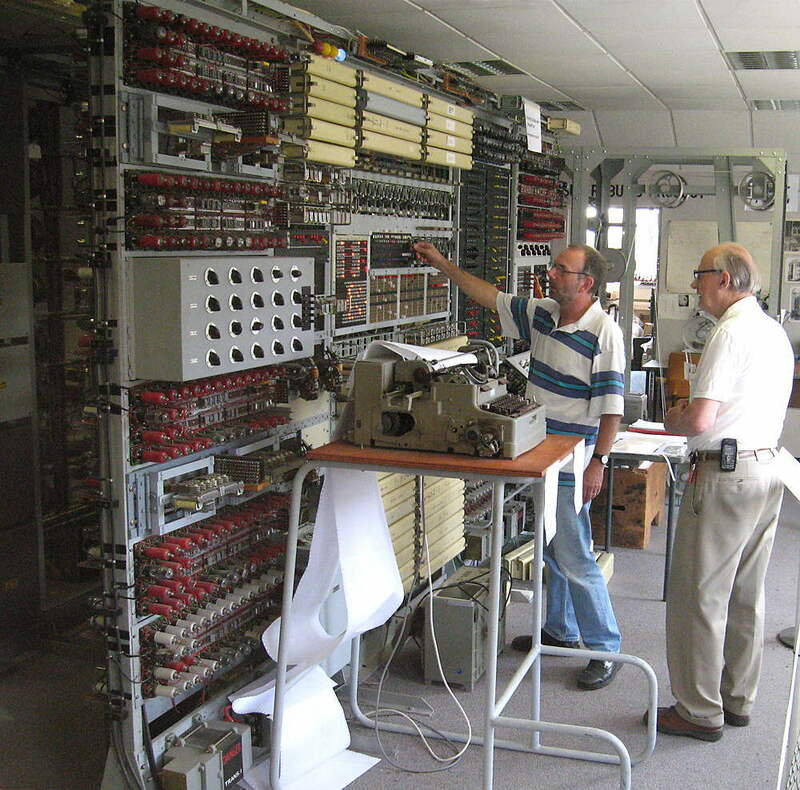 The first computers were mostly a product of scientists, civil engineers (like Leibniz, Babbage, Atanasoff or Zuse), and others building more or less programmable hardware attempting to both solve and speed up the solution of calculations. The application specific machines that emerged out of this eventually not only calculated based on their physical configuration but also based on data and settings fed into them. This part of the model then represents the engineering paradigm. In the engineering paradigm testing is seen as a specialisation or a sub-discipline of software engineering. In this paradigm software test engineers see themselves closely related to software engineering and by doing so favorably like to share the perception that they perform based on the types of theoretical foundations and practical disciplines, that are traditional in the established branches of engineering. Like their counterparts their focus lies first and foremost on the functional correctness of the software engineering product, the code. The code itself and it’s syntax or grammar (patterns, coding practices, etc.) is however mostly left to the developers or programmers. Verify that it works and is built as specified. Obviously software testing has evolved since the early days of building computers using switches, relays and vacuum tubes. The consistent use of the engineer part in titles for software testing however signifies, in my opinion, the implicit focus on the correctness and completeness of the software built rather than more user or quality attribute orientated views.